whilst providing competitively priced stock promptly delivered. Our experienced and helpful warehouse/steel cutting team and delivery drivers are highly experienced and helpful enabling us to fulfil your order how and when you need it. Please see the menu option above for more information on cutting, delivery and collection. At K Steels we’re a family business that has been supplying high quality steel products throughout Lancashire and Yorkshire for well over 60 years. Our aim is to provide a reliable service at competitive prices for all your steel needs. We have a wide range of products available from stock enabling a fast and efficient delivery service. We pride ourselves on having friendly staff and will always endeavour to go the extra mile in helping our much valued customers. K Steels serves the construction industry, builders, steel fabrication, welding, engineering, agriculture and farming, auotomotive truck/ body construction, steel platforms, skip fabricators, shutter door manufacturers, sheet steel workers and gates and railing manufacturers with delivery of quality metals at competitive prices. We are members of The North Eastern Association of Steel Stockholders. 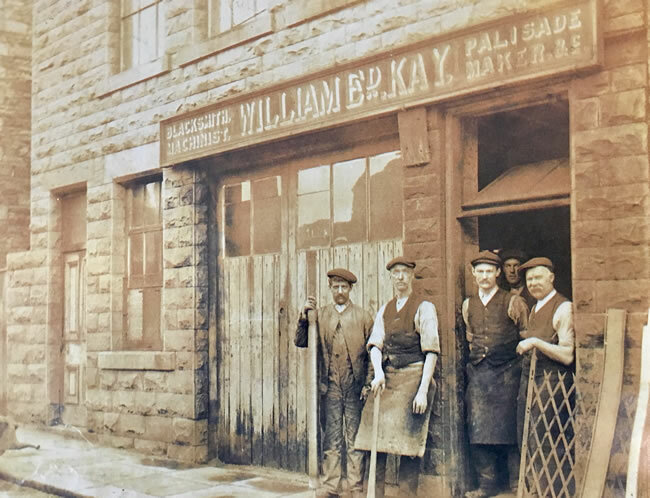 K Steels’ origins trace all the way back to 1880 to the workshop of William Edward Kay in Rossendale, operating as a blacksmith, machinist and palisade maker. William was involved in repairing and fitting the textile mill machinery and looms that were a major feature in the area at that time. William’s son John worked alongside him and later, John’s son Harold joined the family business. It was Harold that went on to establish K Steels in 1953 as a general engineering company, under the name Victoria Engineering Works Ltd. Harold was later joined by sons Maurice, Michael and Stephen. The company diversified rapidly from around 1968 into various business operations for which it is well known today – Steel Stockholding; and formerly for K Supplies, a chain of engineers merchants branches in Lancashire which were sold to Decco Ltd in 2009. 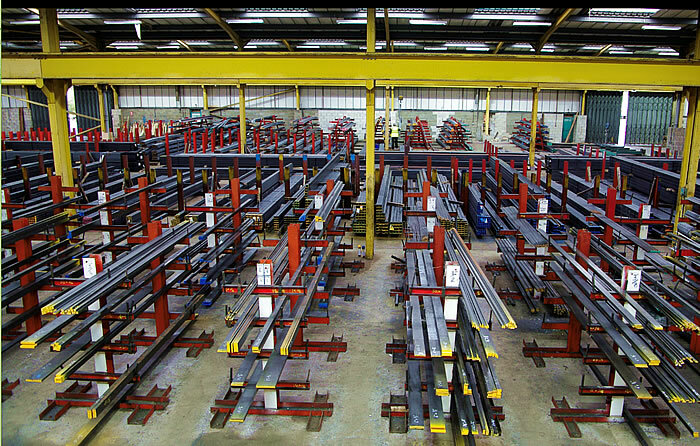 At the heart of all the K Steels’s activities the desire to provide a great service to customers – whilst providing competitively priced stock promptly delivered. 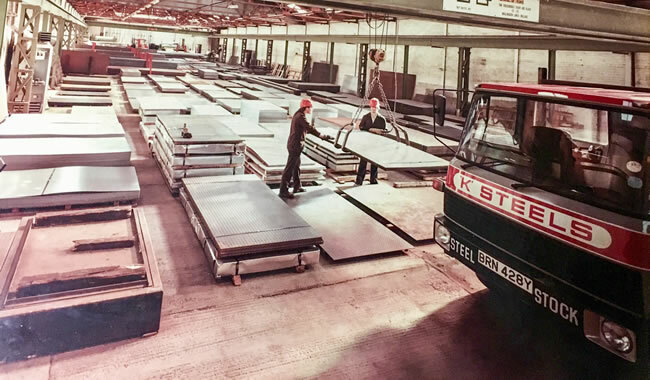 Steel Stockholders K Steels goes from strength to strength and in 2018 celebrates the 40th anniversary of the opening of its purpose built warehouse and distribution facility in Rossendale, Lancashire.